These blankets are sooo awesome you can’t help but fall in love at first sight! Ahh, blankets – who doesn’t sleep without one anyway? While there are people who don’t mind resting without a blanket covering their body, there are those who just can’t go to sleep without their good old blankets – even if it’s too warm already, or if it hasn’t been washed for quite a while. There many reasons why many people are so attached to their blankets. Blankets offer us warmth during the cold and sleepless nights. It provides comforts to us, especially little kids who are learning to sleep by themselves. Knowing that something is draped over you gives you the feeling that someone is close hugging you while you sleep. See all the amazing designs available for the CUTE AND FLUFFY DOG BLANKETS!!! When we see blankets, the only thing that pops into your mind is sleep, or rest, or bedtime. 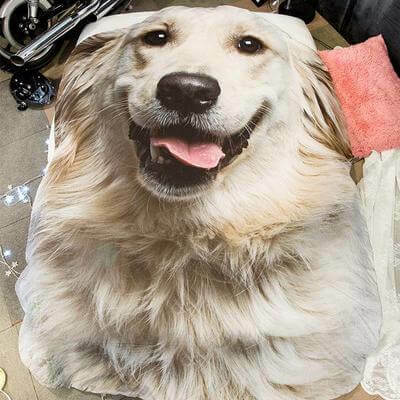 We all have our favorite blanket, but for dog lovers back at the DogBlabShop, they are fangirling over an incredible blanket like no other – the Cute and Fluffy Dog Blankets! If you’re not familiar with this blanket just yet, then you’re definitely in for a treat! 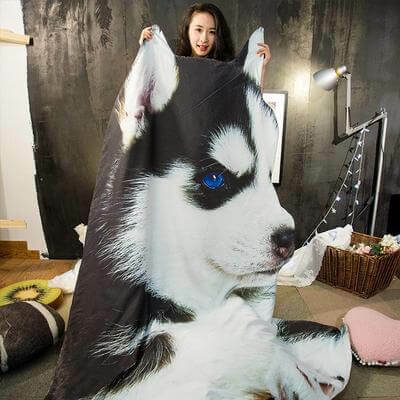 Dog lover, an owner or not, you’ll surely go crazy over these cute blankets! They are so adorable, it hurts! Let’s talk about the design. 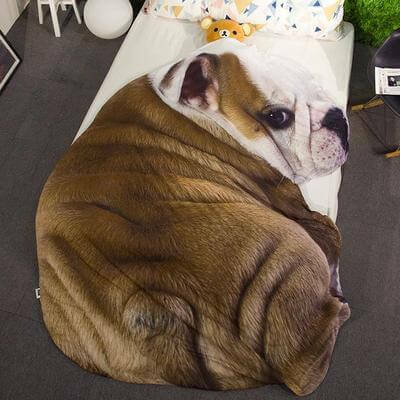 Have you ever seen a bulldog-inspired blanket? It’s not just the design. 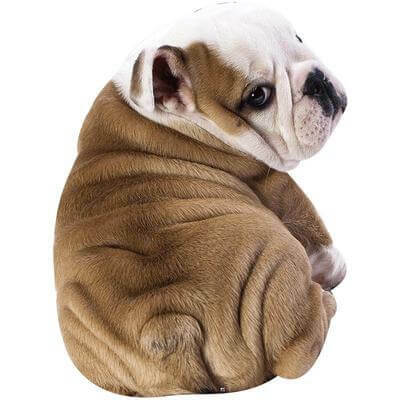 The blanket itself is shaped like a cute bulldog pup that is soft, fluffy, warm and very life-like. From the sweet little puppy eyes to deep folds on its body, there is doubt this is like a real, breathing bulldog pup turned into a lovable blanket you can cuddle all day. The great thing about this blanket is there are other designs available. Take a look at this irresistible Golden Retriever! With its heart-stealing smile and pink tongue sticking out, one can’t help but fall in love with this adorable canine. It’s no wonder how it ended up as the third top favorite dog breed in the US. Want to know more? Check out this CUTE AND FLUFFY DOG BLANKETS here!!! Another variant is a black and white Siberian Husky Puppy with tantalizing blue eyes. One can’t help but be mesmerized with its deep and royal blue eyes that look like a gorgeous marble with a black center. Husky lovers will surely want for themselves! The fourth design is that of a cute little kitten with its wides eyes staring back at you. For cat lovers, this will surely steal your hearts. The fifth is wild at heart. A yellow Leopard with black spots is the featured animal in this cute and fluffy blanket. Only the fearless can take this home! Weighing less than a kilo, it is a 3d printed blanket made only from the finest materials that won’t harm those with sensitive skin. It is soft to touch, making it a great gift idea for dog lovers or not alike. Our convict? This well deserves a spot as one of the best gift ideas for dog owners and lovers alike! Even those who aren’t fond of dogs will surely get a dose of cuddly goodness thanks to the other variants available. These are cute and fluffy blankets for every occasion, and no one will say no to such gift. The price is right, the quality is great and the designs are to die for. Recommended and approved? Yes. Click here for more info and get to know more about the CUTE AND FLUFFY DOG BLANKETS!! !